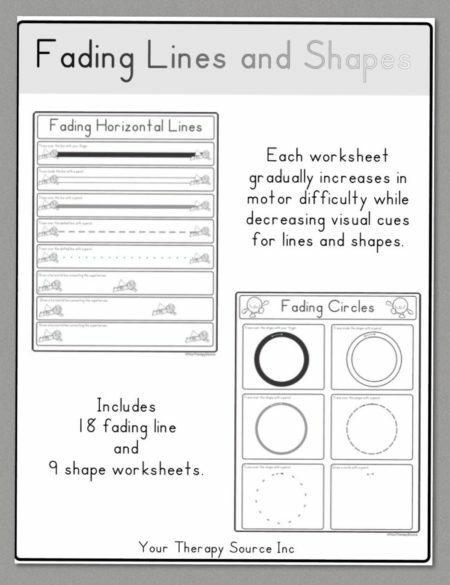 Summary: This download is a collection of visual motor practice worksheets. Practice pencil control for vertical, horizontal, diagonal and curved lines. 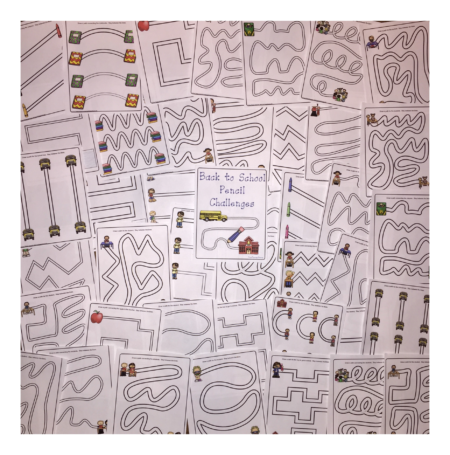 Most of the visual motor worksheets are available in easy or more difficult versions – great for differentiated instruction in group settings. The worksheets are in full color and black and white. The worksheets progress in difficulty. 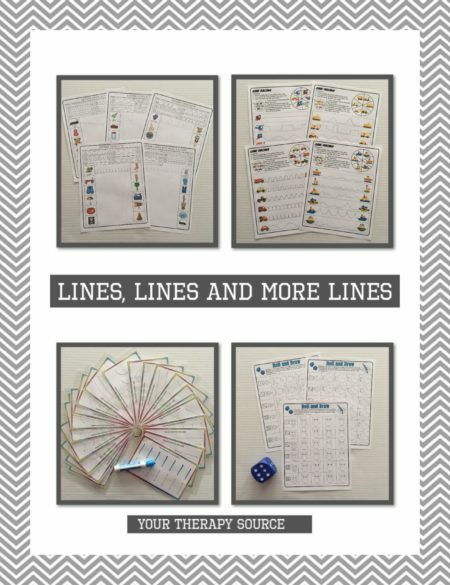 The pencil challenges are provided as full page worksheets and also as smaller worksheets (4 to a page) to increase the difficulty of the task. 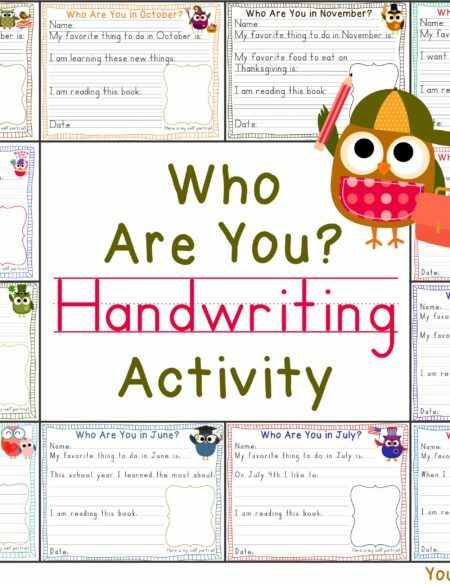 This download is an excellent choice for: fine motor centers in the classroom, visual motor skill practice, special education classrooms and/or handwriting warm ups. 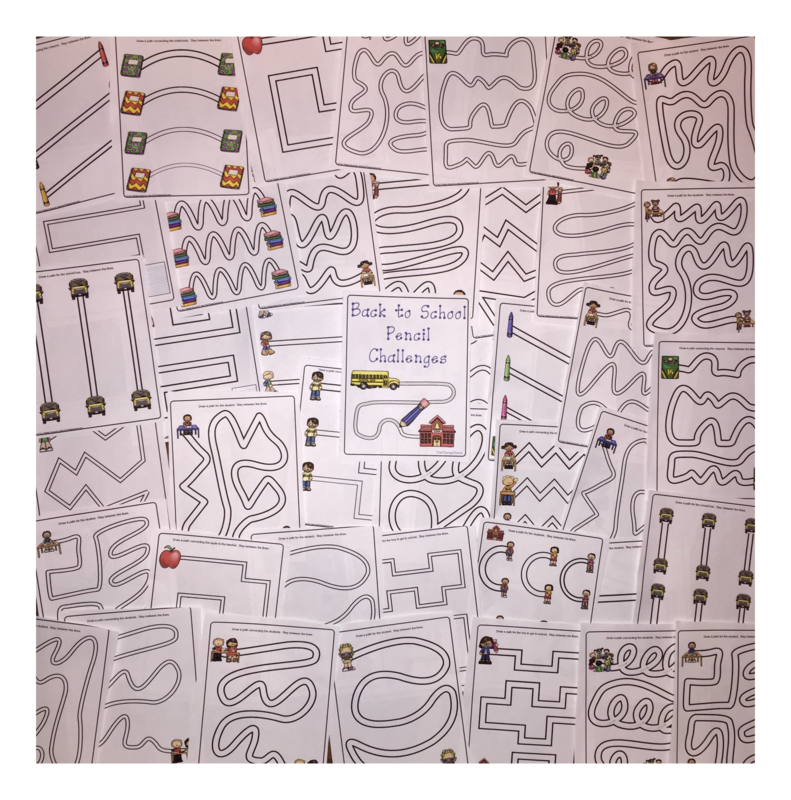 Free sample of Back to School Challenges (includes easy full size pencil challenge, more difficult full size and 4 smaller pages). 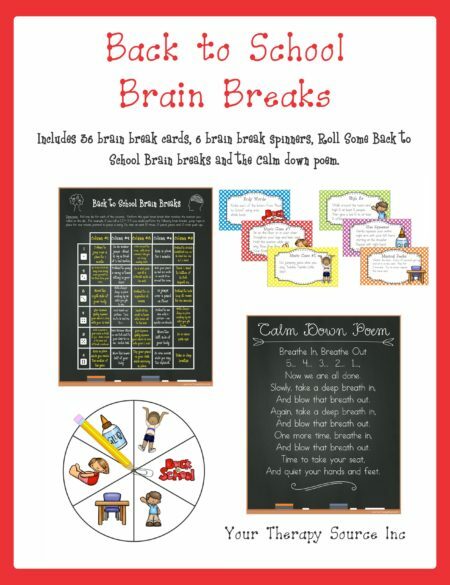 To purchase the download with credit card of Back to School Pencil Challenges click on the ADD TO CART button. Following payment you will receive an email with a link to download the book.